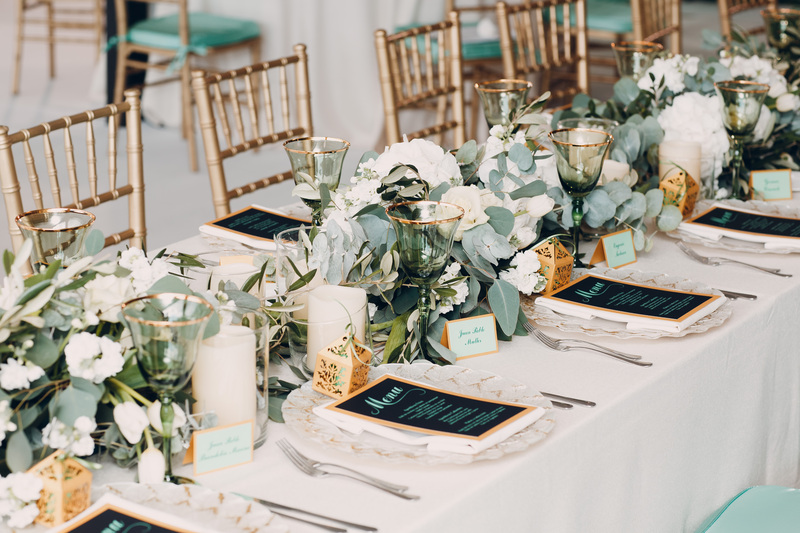 Wedding season is approaching and Naples, Florida is the perfect place to have the wedding of your dreams, but planning a wedding on a budget can be challenging. Expenses for a wedding add up fast but wedding catering in Naples, on a budget is possible. Finding delicious food that fills tummy’s and leaves guests talking can be found, it just takes a bit of planning. Following our 5 tips to saving on wedding catering Naples residents can make your perfect day even more special while saving you money! 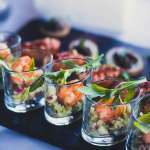 While it might seem like you need to keep your guests constantly served with food during cocktail hour, you really only need 2 or 3 small-dish appetizers to keep your guests completely satisfied. 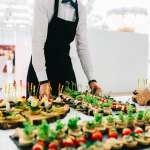 Limiting Hors D’oeuvres will save you money on a wedding caterer especially when considering that the more appetizers added, the higher the catering bill will be! Wedding toasts are very memorable and a beautiful added touch to any wedding, but they don’t have to be expensive. Although champagne toasts are traditional they have added costs as they require you to rent champagne flutes, have servers pour champagne to each and every guest, and champagne is also a pricey drink that might not be your guests’ favorite which can turn into wasted alcohol. If you let your guests toast with a drink of their choice, you will save money on the alcohol and the rentals. You can save a lot of money on a wedding bar that serves only beer, wine, champagne and a couple specialty cocktails. This still satisfies your guests and can be more practical than having a bar that has every type of liquor and mixer. If you would like hard liquor at your wedding but want to save some money, you could always create a semi-soft bar adding one or two versatile spirits such as Vodka or Whisky as those both are extremely flexible with a variety of mixers. Work with your caterer to choose ingredients that are grown locally and are in season around the time your wedding takes place. Serving these ingredients will be easy to find and cheap if you do your research, and they are guaranteed to taste great. Talk to a wedding caterer in Naples to get recommendations on these types of dishes. Familiarizing with the cost of different cuts of beef and the price difference on types of fish could potentially save you a lot of money. For example, organic produce costs more than non-organic fruits and veggies, and there are many things you can save money on by being a little bit more knowledgeable on the kind of food you are serving. Communicate with your caterer to determine which elements of your meal can be cut, and which are non-negotiable. 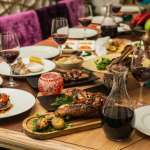 If you are looking to stretch your wedding catering budget, speak to a professional wedding caterer like Dining With Prestige in Naples Fl. Professional wedding caterers can help you create the right dishes for your budget. Contact Dining With Prestige today! Naples, Marco Island, Captiva Island, Sanibel Island, Bonita Springs, and surrounding regions.